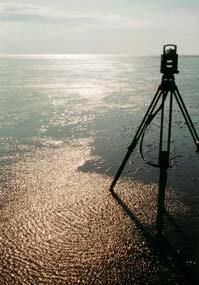 Land Surveyors - providing Topographic Surveys, Mapping, GPS Survey and Flood Risk Assessment. Harry Skinner Surveys provide expert services in the field of land surveying. Specialising in environmental, highway, airfield and land development schemes, we have diverse experience in the UK and Caribbean. We also provide nationwide GIS asset capture, flood risk assessment, mapping, volumetric analysis and engineering survey control, all of which complement large and small scale topographic surveys in both the public and private sector. Backed up with the latest GPS, CAD, infra-red, laser equipment and technology, a high quality service helps us to maintain a portfolio of long standing clients. "Dense jungle and mountainous topography meant a tightly controlled network of carefully sited land survey stations was required, for use as both survey and engineering control." Harry Skinner Surveys are members of The Survey Association, a body that is dedicated to raising the standards of the survey profession in the UK. It’s land surveyor members are regularly vetted both financially and technically. By using a TSA member you are protected by a carefully regulated membership system. Get it right first time. Survey and geomatic data is often the start point of a project. The correct professional attention will minimise risks and ensure correct dimensional control.